Blueprint Creative Group | Is There An Art to Fundraising? 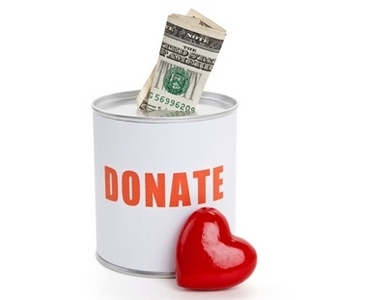 Is There An Art to Fundraising? You’ve written what you believe to be the perfect appeal letter or email targeted to your donors. You’re sure that this time around your call to action will drive an influx of new donations and inspire passive donors to contribute to a specific giving campaign. So the letter is good to go and ready to be sent. You hit send and await the donations to start to pouring in…but nothing happens or at least no significant donations have been made. Meanwhile you see other organizations like Tweetsgiving and charity:Water use the power of Twitter to raise $20,000 or more in just a matter of days, but your cause fails to get that type of buzz. Some non-profits seem to have it made- they simply ask and the money comes pouring in or at least it seems that way. For other organizations, it’s not so easy. They have to make a lot of appeals just to scrape up a few dollars, and even then it’s not always enough. 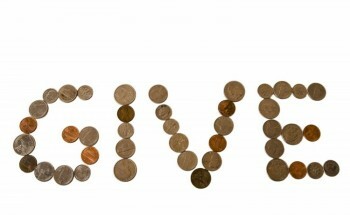 Especially during the summer months when donors aren’t as giving as they are during the holidays. It’s not that your cause is any less important than the others, but why does it seem like some non-profits and causes have winning fundraising strategies while others struggle. So does that mean there’s an art and science to fundraising that leads to success? In working with a diversity of non-profits over the past few weeks I can almost always notice why some fundraising strategies obviously fail while others have massive success. Yet, it’s not always so apparent for these organizations. So while there may be an art and science to fundraising at the end of the day it’s pretty standard. This is almost always the case when evaluating fundraising campaigns. Non-profits sometimes fail to identify their key prospects let alone know the profile of their average donors. Of course, it’s easy to identify major and corporate donors but also know who your average donor is and what inspires them to give is just as important. Knowing why your donors give and timing your appeals and giving campaign to match this motivation can lead to great success for fund developers. Another obvious reason why some fundraising campaigns fail is due to a lack of synergy. Even non-profits are guilty of operating in silos where marketing and communications is separate from fund development and donor relations. The result is a disconnect in messaging between the different departments. Instead, fund development should be just as integrated with marketing communications as donor relations. In addition to the lack of synergy within the organization, non-profits struggle to tell their own stories not just to the media but also among their donors, community, and supporters. The message has to be consistent and resonate with each audience segment. Obviously donor relations is obvious. If donors aren’t engaged and nurtured then fund development will have a tough job ahead. The same goes for volunteer engagement, board relations, and any other stakeholder groups that play a critical role in the sustainability of a non-profit. So for your non-profit what tactics seem to yield the greatest results or what do you think you’re doing (or not doing) that’s keep your fundraising from being successful?